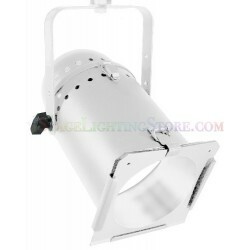 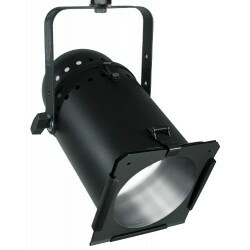 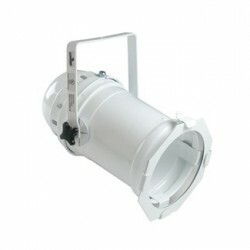 The Par 64 holds a 500 or 1000 watt lamp that is either a wide flood, medium flood, narrow spot or very narrow spot. 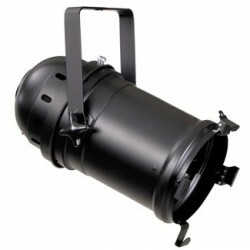 It is the lamp that dictates the light output, size and shape. 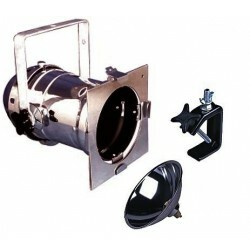 In general the shape of the light output is an oval that is more noticeable the wider the beam of the lamp. 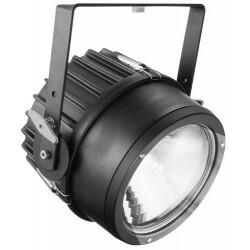 The front of the light has clips and tabs to hold gel frames and light weight top hats. 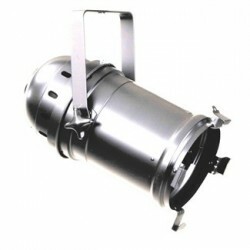 The steel cans can handle the weight of barn doors and color scrollers. 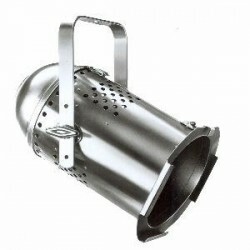 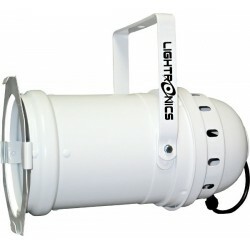 In general the UL listed cans can handle the 1000 watt lamp and the non UL listed cans are limited to the 500 watt lamps.